The PN report omits direct comment on Simon Busuttil's impact on the electoral campaign. The report on the Nationalist Party’s defeat says the former government was one of the best in history but lists more than 150 reasons why it suffered an unprecedented electoral bashing. Christian Peregin breaks it down. The PN did not publish its defeat report in full but its 38-page executive summary leaves plenty to digest. It starts by describing the previous government as one of the best in Malta’s history and describes former Prime Minister Lawrence Gonzi as one of the country’s greatest statesmen. But after praising Malta’s economic feats and acknowledging Dr Gonzi’s major challenges, the rest is a scathing review of the past five years. 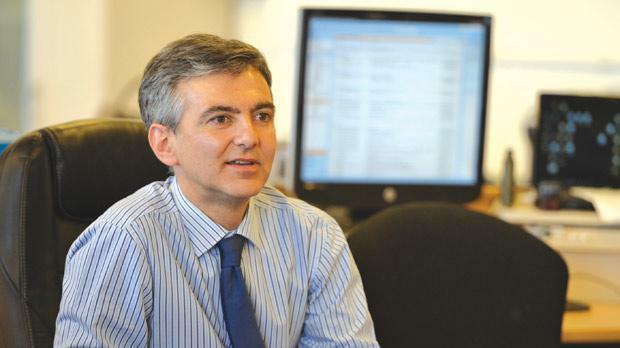 The report contains various omissions, namely the impact of new leader Simon Busuttil on the campaign and the effectiveness of Labour’s energy plan. It also fails to present a clear picture of how the PN campaign was run and who was calling the shots. At times, however, it is starkly honest, admitting to failings that the PN and the former government worked hard to play down. It is also surprisingly fair to Prime Minister Joseph Muscat and the results he achieved as Labour leader, admitting for the first time that he was underestimated. However, the report does not prioritise the problems and its recommendations are mostly of an administrative nature. Who is singled out and what is said about them? Former PN leader Lawrence Gonzi. Put the national interests before his own, reducing his input within the party. General secretary Paul Borg Olivier. Overloaded with problems of backbenchers and party finances. Assistant general secretary Jean Pierre Debono. Praised by sectional committee members but absence felt during election campaign. Transport Minister Austin Gatt. One of most focused ministers but many commented about his personality and the fact that he did not step down to help with campaign, as had been promised. Former European Commissioner John Dalli. His comments, writings and behaviour, especially after he left Malta, caused a great deal of damage to the party. Former MP Franco Debono. Was totally irresponsible in the extraordinary way he kept the Government hostage until he brought it down. Former MP Jeffrey Pullicino Orlando. Like Dr Debono, he did not show loyalty and even celebrated Labour’s victory. Leaving the party meant the PN lost votes. Ex-MP Jesmond Mugliett. Did not act like Dr Debono and Dr Pullicino Orlando but still erred greatly at the expense of the PN, which lost his following. 1) Lack of coordination, seriousness and commitment in the organisation of the campaign. There was lack of feedback by the PN’s administration to queries by volunteers. 2) PN did not believe Labour would have a good campaign. 3) PN campaign was too negative and not focused on the good of past five years, especially its billboards. 4) The good electoral programme was not made a big enough part of the campaign. 5) PN did not recognise the changes within the electorate and that it had become cool to vote Labour. 6) Not enough human resources,planning and training at electoral office, Elcom. 7) A lack of high profile candidates and the sidelining of many volunteers who did not feel trusted. 8) PN almost completely ignored the local council elections. 9) Lack of financial resources, especially compared with Labour’s sophisticated campaign. 10) Did not use simple enough language when talking about the economy. 11) MPs not active enough in their districts except in the campaign. Too few ministers, MPs and candidates held regular home visits. 12) Campaign did not involve civil society enough. 13) Mychoice.pn website was good but should have been a five-year effort and should have engaged the public instead of just sending e-mails. 14) PN did not have professional branding and its slogan Jobs, Health and Education seemed poor. 15) Veteran volunteers did not feel appreciated and were not given a role in the campaign. They were even excluded from the counting hall despite their experience. Lawrence Gonzi’s Cabinet features prominently in the defeat report, which deemed it to have been too small. Ministers were accused of being arrogant and were criticised for not resigning when projects or policies failed. There was an impression that ministry employees only served people from their minister’s districts. What does it say about the media? The PN did not make a big enough effort to persuade the independent media to appreciate and promote the government’s results. Instead, it relied on the State broadcaster but this worked against the party when people felt PBS programmes were all in favour of the administration. The report also criticises Nationalist-leaning bloggers who could have damaged the party, especially when they launched personal attacks. The report complained about the quality of the PN’s media but acknowledged the dedication of employees. What is omitted from the report? 1) Simon Busuttil’s impact on the campaign as deputy leader. 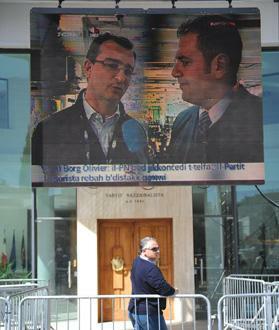 2) The infamous PN billboard showing Dr Gonzi with a blue face. 3) The impact of many political debates in the campaign. 4) The PN’s survey projections in the run-up to election. 5) The structure of the PN’score campaign team and the people involved. 6) The increase in water and electricity rates in 2009. 7) Labour’s energy plan proposed in the first week of campaign. 8) Corruption issues such as the lack of a Whistleblower’s Act. 1) Create a newspaper or news site in English for those who do not read Maltese. 2) Divide the political work of the party and its commercial arm and employ a CEO responsible for the commercial aspect. 3) Allow all local councillors to vote in the general council. 4) Provide training to all candidates, such as in public speaking. 5) Understand and send a message of hope and goodwill to people who did not vote PN. 6) Create a college of former MPs and candidates so they can remain active. 7) Support a party financing Bill. 8) Draw up a clear mission statement. 9) Update the code of ethics and draft a code of conduct. 10) Impose a 10-year term limit for ministers, prime ministers and PN leaders. March 10, 2008. Former Labour leader Alfred Sant resigns. March 13, 2008. Prime Minister Lawrence Gonzi chooses small Cabinet. March 14, 2008. Dr Gonzi sends SMSs to former ministers informing them they’re excluded from the new Cabinet. December 1, 2008. City Gate project announced. June 6, 2008. Joseph Muscat elected Labour leader. September 15, 2008. Lehman Brothers collapses sparking global crisis. June 7, 2009. Labour wins MEP elections by landslide. September 19, 2009. Labour tables motion against BWSC tender award. November 23, 2009. John Dalli appointed European Commissioner. December 14, 2009. Franco Debono misses Parliament-ary vote. March 10, 2010. Gonzi creates role of parliamentary assistants. March 30, 2010. Dockyard is closed amid privatisation. July 6, 2010. Jeffrey Pullicino Orlando presents divorce Bill. December 8, 2010. Details start to emerge of ministers’ pay rise. December 24, 2010. Permanent residency scheme is suspended. February 9, 2011. PN takes stand against divorce. April 12, 2011. Dr Gonzi says Muammar Gaddafi must go. July 4, 2011. Public transport reform launched to complaints. January 8, 2012. Dr Gonzi says Austin Gatt will step downfor campaign. June 4, 2012. Malta Financial Services Authority fines Bank of Valletta over Valletta Fund Management. June 18, 2012. Dr Pullicino Orlando backs Labour motion against Malta’s Permanent Representative to the EU, Richard Cachia Caruana; Jesmond Mugliett abstains. July 10, 2012. Parliament rises for long summer recess. August 20, 2012. Labour icon Dom Mintoff dies. November 28, 2012. Budget finally includes PN’s income tax pledge. December 12, 2012. Dr Muscat promises to retain Budget pledges. December 21, 2012. Labour deputy leader Anġlu Farrugia hands in resignation. January 20, 2013. Enemalta oil scandal revealed. February 12, 2013. PN issues ‘white block’ audio of Toni Abela. March 10, 2013. Labour wins historic landslide victory. * These are the main events listed in the report as having contributed to the defeat. Ann Fenech (chairwoman), Mary Anne Lauri, Simon Mercieca, Rosette Thake, Malcolm Custo.